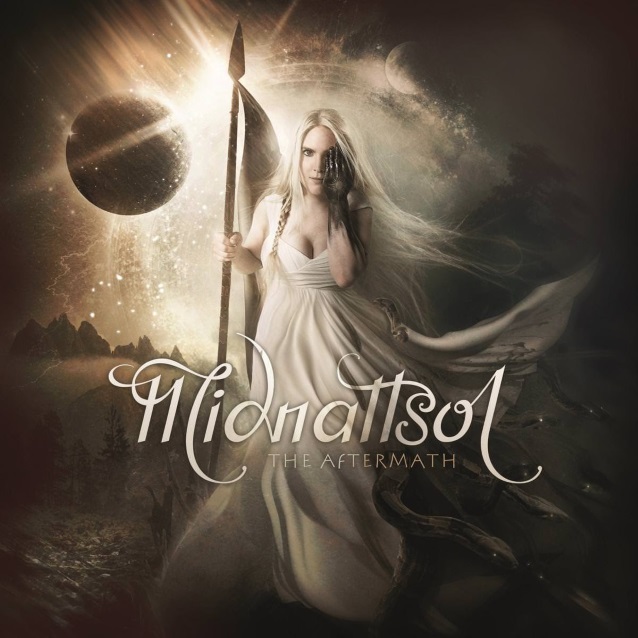 MIDNATTSOL will release its new album, "The Aftermath", on May 25 via Napalm Records. The band's current lineup includes former LEAVES' EYES and THEATRE OF TRAGEDY frontwoman Liv Kristine Espenæs alongside Liv's younger sister, Carmen Elise Espenaes. 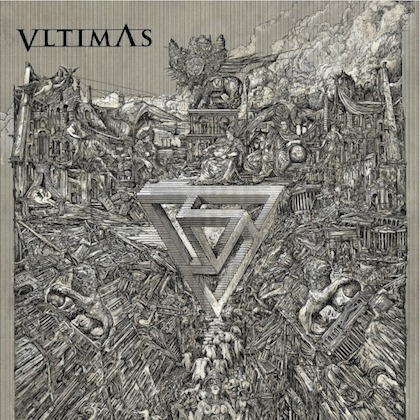 "The Aftermath" relies much more heavily on folk influences lending atmospheric density to the melancholic symphonic metal compositions. It is a sumptuous and sensual affair and a shimmering highlight in the discography of this German/Norwegian team. MIDNATTSOL released its promising debut album, "Where Twilight Dwells", back in 2005. The band quickly gained fans around the gothic, metal and rock scenes and played numerous shows and summer festivals like Summer Breeze, Wave-Gotik-Treffen, Mera Luna, as well as opening for IN EXTREMO. Their second studio album, "Nordlys", was released in 2008, followed up by "The Metamorphosis Melody" in 2011. After that, the band decided to take a creative break. MIDNATTSOL announced Liv's addition to the band last December. The group said in a statement: "Some time ago, we discussed with Liv that she would support us on our upcoming album as a special guest. Working together, we found out that not only the result is awesome — we also have a lot of fun together. The logical consequence was that we pick up Liv as a permanent member of the band. So she is now the official second singer in MIDNATTSOL. "As Liv is now a permanent band member, we plan to play upcoming concerts together with her. We are very happy and it means a lot to us to have such an amazing singer and fantastic person in our MIDNATTSOL family." More recently, Carmen was involved in a project called SAVN, also featuring two members of THE SINS OF THY BELOVED. Liv was fired from LEAVES' EYES in early 2016 and was replaced by Elina Siirala. Liv was previously married to LEAVES' EYES' co-vocalist Alexander Krull.